Use this handy double-sided carry-all for all of your little sewing accessories! Each side has 23 sections at 1-1/2inx1-1/2inx3-1/8in each. 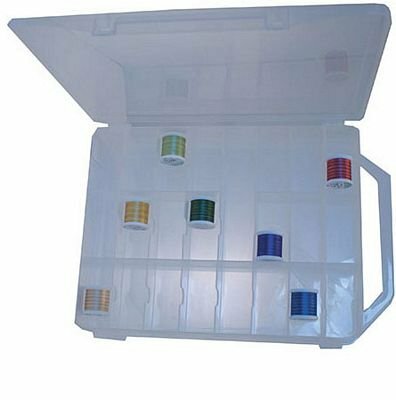 Holding up to 150 spools of thread, it's the perfect thread caddy!